Tuesday Tidbits: OP Promo Update and Vengeance Previews! 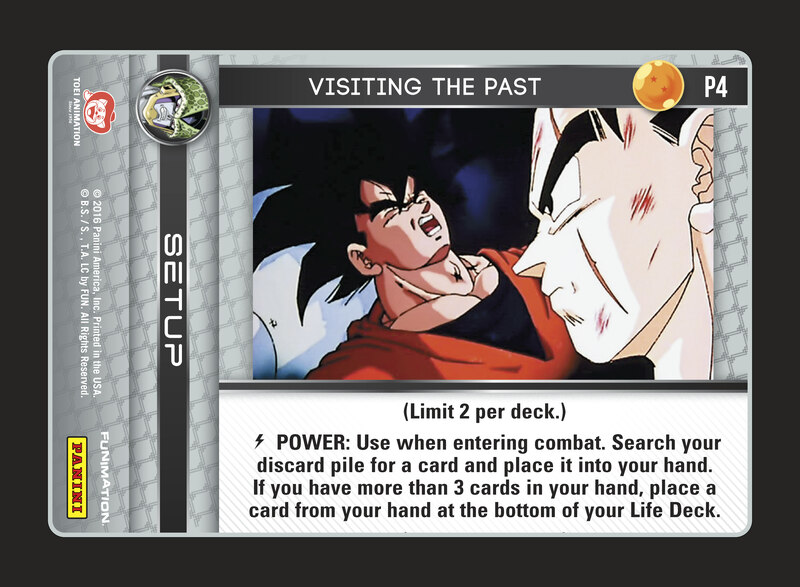 Visiting the Past is now a Regionals entry promo (switching places with Blinding Energy Move), and an Ultra Rare is included in today’s previews – see it all below! In Organized Play news, please note that the announcement page has been updated with a change in promo distribution. Blinding Energy Move will be the Worlds exclusive, while Visiting the past will be given to participants at Regionals! One of the three promos you’ll receive just for participating! Today’s batch of previews reveals four upcoming Freestyle cards, including an Ultra Rare. Stomach Crusher rates highly on the value scale, with measurable metrics of AT +4 stages/2 Endurance. From there, the upside becomes huge – especially for more aggressive decks. Pinning an opponent in combat is always useful for stage beatdown, and the ability to pause the use of Setups can be extremely punishing. 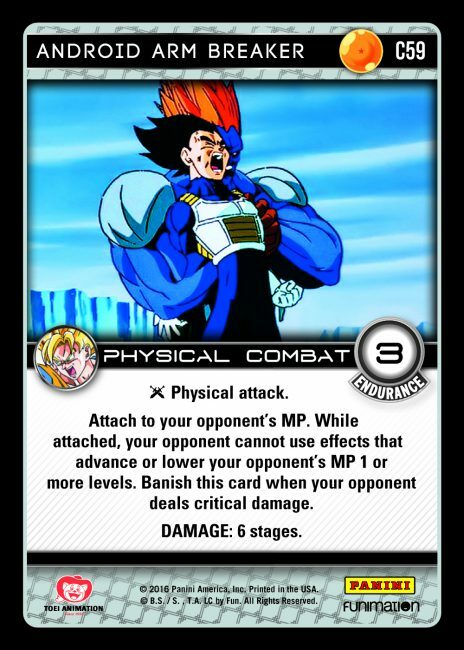 Even against decks that can easily meet the Styled attack requirement, the disruption caused by this card is palpable. 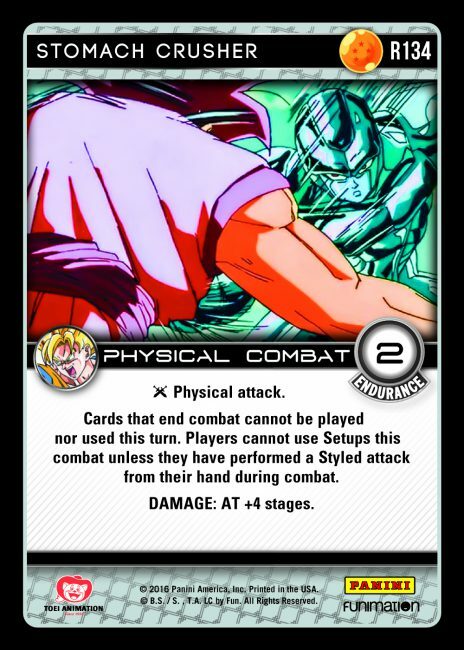 Android Arm Breaker deals a rock solid 6 stages, and provides more fuel for cards like Android Presence, Android 18’s Toss, and Android 13. Combat oriented decks will be able to interact and remove it, but it often buys a turn and leads to large tempo swings in certain matchups. Passive decks with cards like Orange Devouring Drill can suffer against this effect. Surprise Attack is one of Vengeance’s two Ultra Rare cards, and it enables an entirely new method of deck-building. At the same time, it also causes problems for many of the top decks in the format! 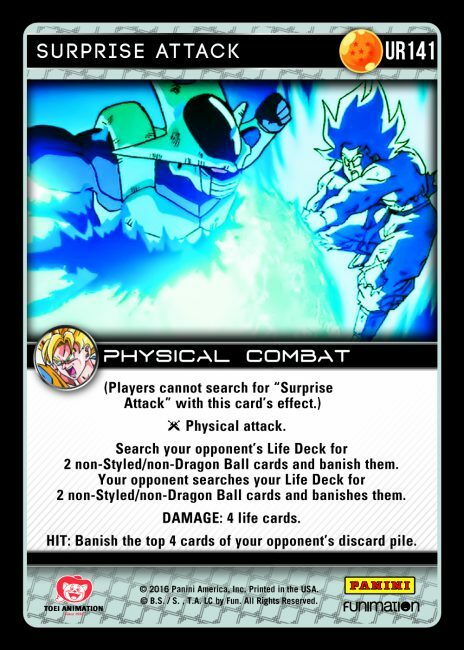 Time is a Warrior’s Tool, Visiting the Past, Krillin’s Destructo Disk, Sinister Choke – these are just a few of the prime targets that Surprise Attack is capable of plucking from your opponent’s Life Deck. Though the effect is symmetrical, several archetypes lend themselves to a lessened reliance on non-Styled cards. Finally, its base damage of 4 Life Cards quickly becomes threatening with any modification – and the HIT effect banishes even more of your opponent’s cards. Dat stomach crusher. This might be a three box purchase set. dont forget banish after use test on VTP!! AWESOME NEWS!! Before even looking at the previews, gotta say ‘OH YEAH’ for the news on Visiting. 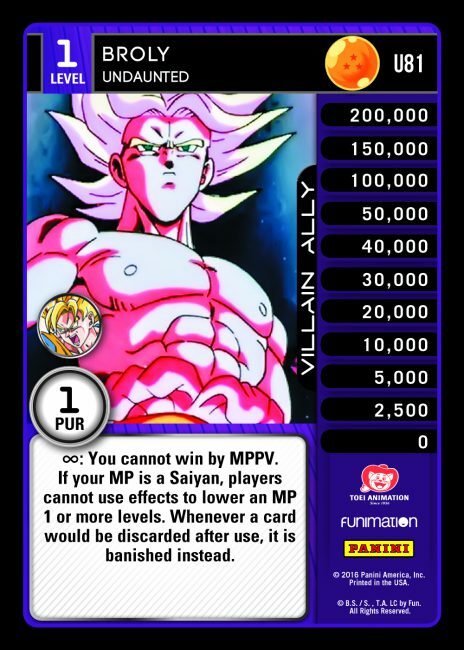 All preview cards look interesting, but particularly Arm Breaker. I wish Surprise Attack’s immediate effect would be a bit more negative towards your opponent (i.e., you search for 3 or 4 cards, or you’re able to search for styled cards), rather then equal. Artwork looks cool though. Honestly, I’m not 100% on the foil pattern yet, but I totally believe it’ll look great foiled, as you previously mentioned. Stomach Crusher is the best designed card since I’ll Dig Your Grave! On behalf of all aggro players, thank you Panini.